Fel-Pro performance intake manifold gaskets must prevent air, oil and dirt from being sucked into the intake ports and prevent coolant from leaking out of the coolant ports. For performance engines, this is complicated by the variety of aftermarket cylinder heads and intake manifolds in use. Fel-Pro performance intake manifold gaskets have been tested for use with all popular aftermarket cylinder head and intake manifold combinations. In addition, most Fel-Pro performance intake manifold gaskets do not have a metal core, which allows engine builders to trim the gasket to ensure an exact fit on modified ports. 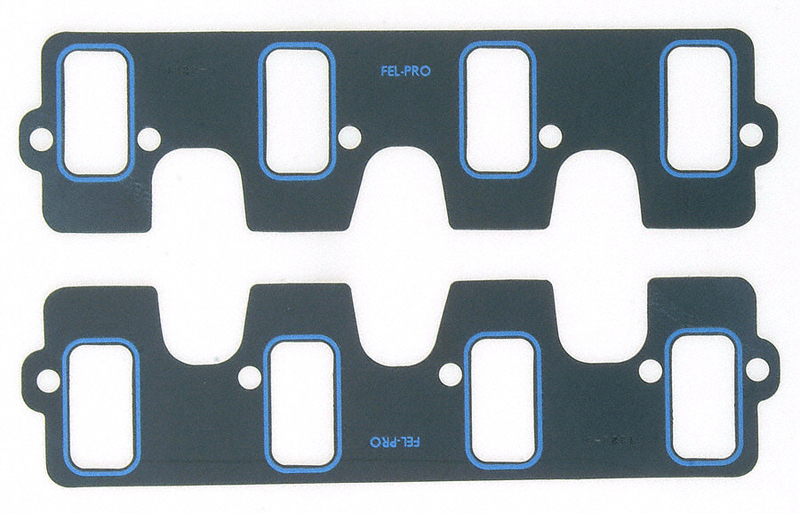 Fel-Pro offers a solid core intake manifold gasket for high vacuum race engines, as well as performance applications that have a long expected service life i.e., street machines, marine use or tow vehicles. The solid core provides extra strength and stability, and the gaskets come in proven port shapes used in race intake gaskets.